To commemorate the release of Marvel’s Black Panther in theaters later this month, Johnny Cupcakes has released a killer new collection of t-shirts inspired by T’Challa, the king of Wakanda! The Blot’s favorite is “King Kitty Big Kid” which features the Avengers member reimagined as JC’s mascot Big Kid. 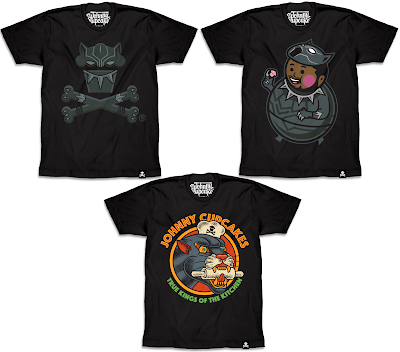 There’s also a super sleek Black Panther Crossbones design and an old school tattoo inspired “King of the Kitchen” tee. 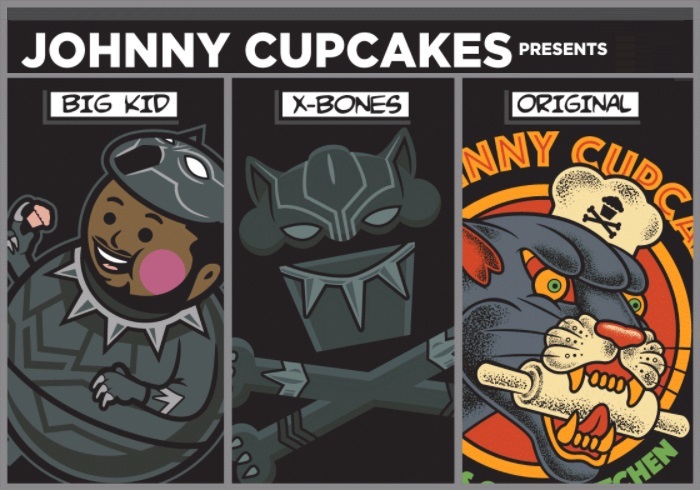 All three JC x Marvel Black Panther shirts are available now at the Johnny Cupcakes online store, in sizes XS-3XL, for $35.99 each.